Holistic Pet Care Delivered to Your Home. Your pet’s well-being is our passion. 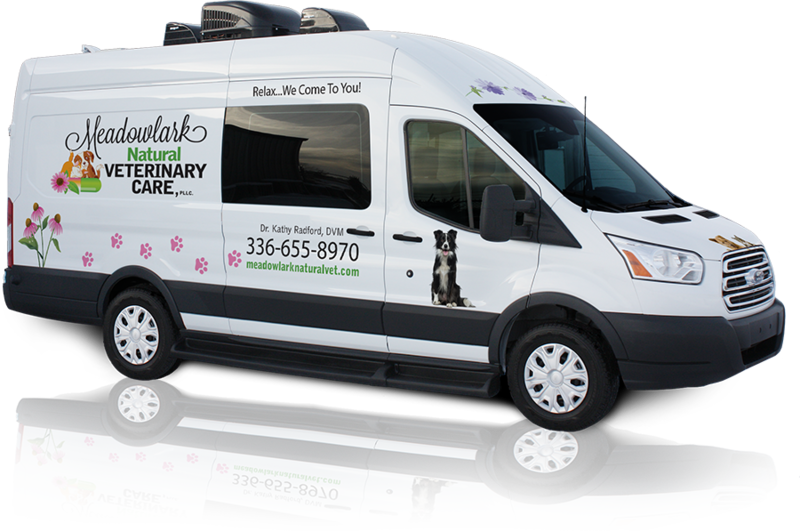 The Meadowlark Mobile Natural Veterinary Service brings top-quality veterinary care directly to your home. Your pet is examined and treated conveniently in our state-of-the-art mobile veterinary clinic, without the stress and time involved of visiting an office. Our service offers the latest in conventional veterinary medical expertise, plus the alternative treatments of herbal medicines, homeopathic remedies, nutraceuticals and acupuncture.